St. Luke’s Church is located on the corner of Second Street and Lincoln Avenue, just one block from the central business district of Woodland. The facilities form a “U” around a central Garth and parish house. The brick exterior is Gothic Revival in style and designed to resemble the early seventeenth century St. Luke’s Church in Smithfield, Virginia. The interior of the church is in the arts and crafts style in which the warmth and comfort of the church results from the abundant use of wood. Old growth Douglas fir forms the ceiling and prominent truss beams which contrast the oak wainscoting, highly carved oak pulpit, altar and reredos in the sanctuary. One of the great treasures of St. Luke’s church is the three-panel Louis Comfort Tiffany window in the east wall above the altar, which was dedicated on Palm Sunday, April 12, 1922. This window was created in the unique glass artistry characteristic of Tiffany and the artistic style unmistakably that of Frederick Wilson. The birth of Christ is shown in the panel on the Gospel side and the raising of Jairus’ daughter on the Epistle Side, while the Ascension window dominates in the larger central panel. 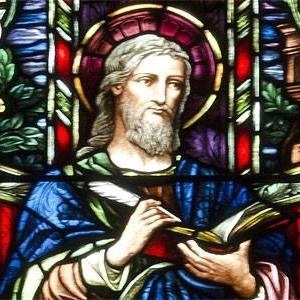 This magnificent window was the only art glass window for thirty years until 1952, when a series of stained glass windows was installed to tell the sequential gospel story in visual art. The series was continued with additions in 1965 and completed in 1974. The Guild Hall was built in 1928, which extended the building to the south. The exterior of the Guild Hall is Tudor in style and blends well with the style of the church. The interior continues the exterior style capped by high vaulted ceiling and massive trusses. The rooms include a library, kitchen and a large meeting room which is used for parish social functions and also for weddings, and other events. 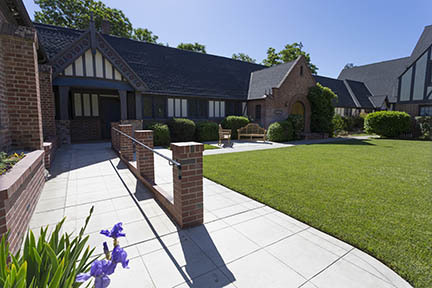 The Parish House, St. Luke’s House, was built in 1929, again in the Tudor style. It is a two story structure, originally meant to serve as the rectory which it did until 1965. It currently serves as the office spaces that include a spacious Rector’s office, Secretary’s office on the first floor and the Treasurer’s/accounting office, Deacon’s office, and a newly redecorated meeting room on the upper floor. The latest addition to the church complex was completed in 1955 with the construction of the Great Hall and Education building. The hall has a vaulted ceiling and a balcony loft. It has been used for parish social functions and is a source of income as a rental facility. The other rooms on the main floor are utilized for: St. Luke’s Nursery School, one large and two medium class rooms, an office and two restrooms; one Nursery devoted to infant care during services and functions and one Sunday school room. The lower floor beneath the Great Hall contains six recently redecorated Sunday school rooms, and a teacher’s resource room. St. Luke’s was designated a City of Woodland Historical Landmark in 1993. 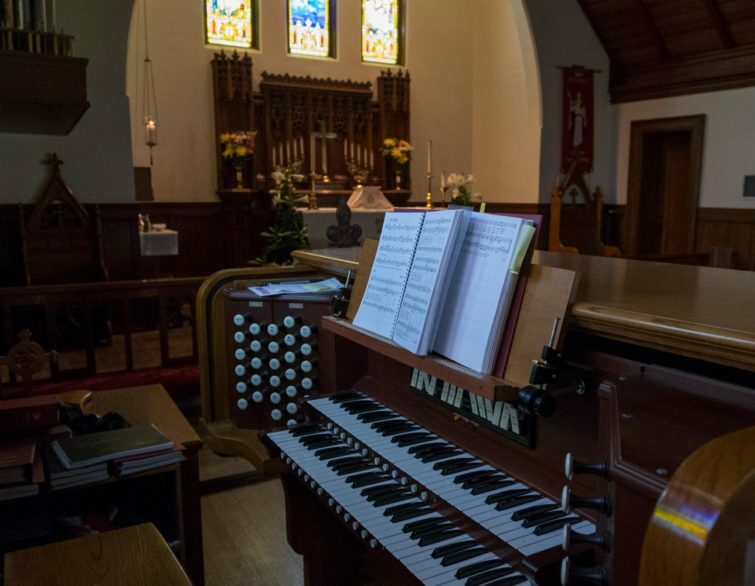 Click below to learn more about our pipe organ.